I love the Bon Bon package. My friends love the way it makes any space I’m in, smell luscious. 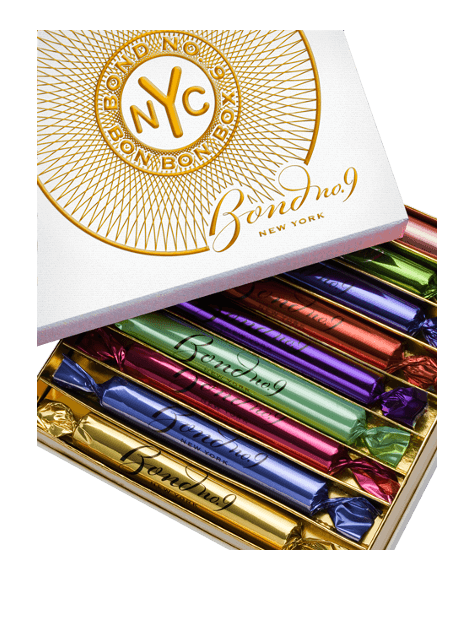 The sublime impeccable bursts of aroma that flows out of these wonderfully crafted gems , are a scent so pleasing to the senses that it cannot go unnoticed...but yet powerfully distinguished .. you'll love them all! wow! I just received my bon bon box yesterday. I must say I am thoroughly impressed. I was expecting to receive a small tester but to my surprise, I received individually wrapped purse sprays. I foresee them lasting a long time and you can literally wear a different fragrance everyday without committing to a full size bottle. This purchase was well worth the money!!! My life is complete. I literally have a smell for every mood, work & play, etc. The fragrances are even better when they are worn together! I get several compliments!